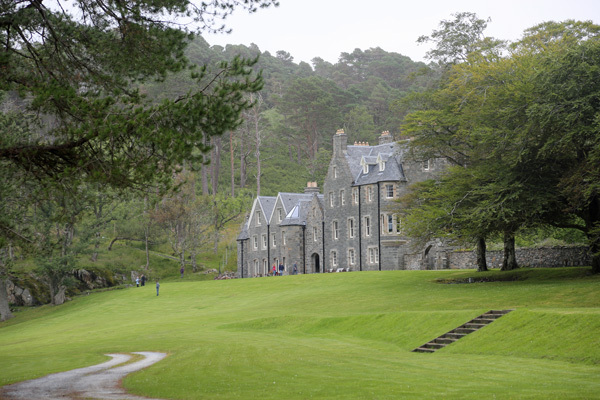 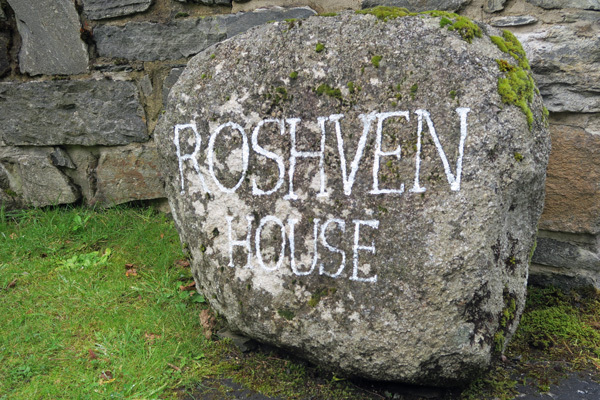 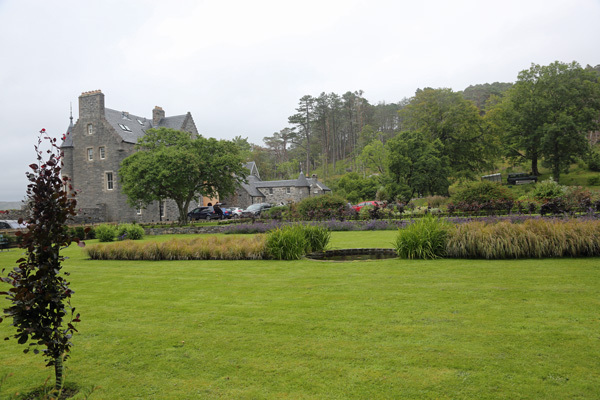 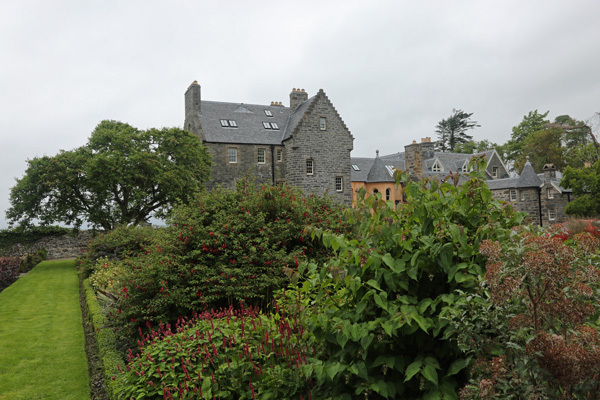 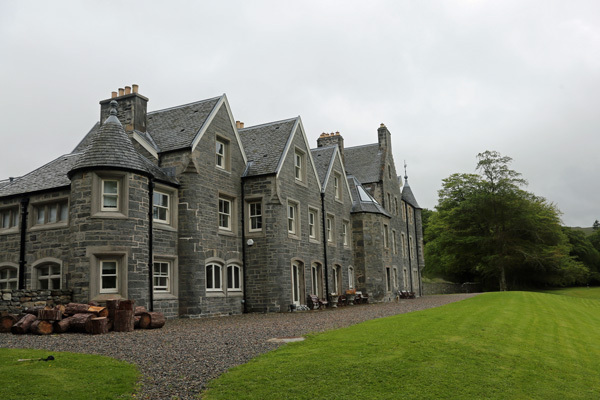 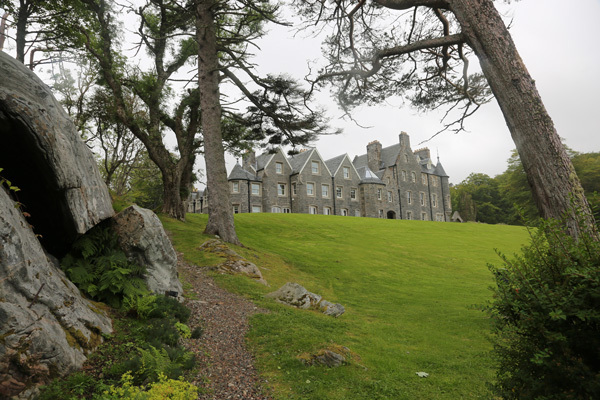 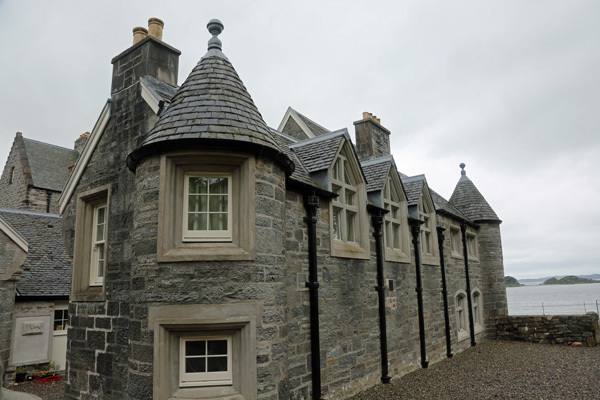 Roshven House, situated on the shores of Loch Ailort in Moidart, is a historic house surrounded by over 30 acres of grounds. 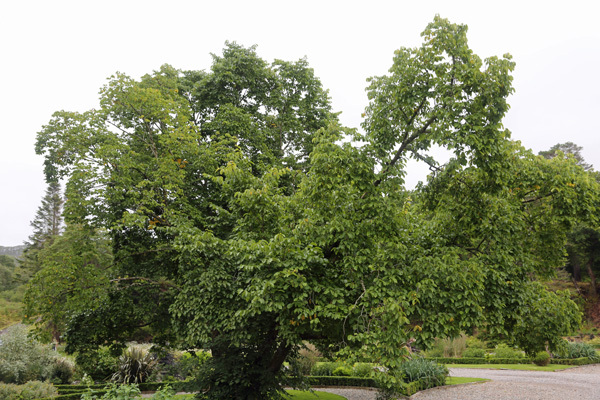 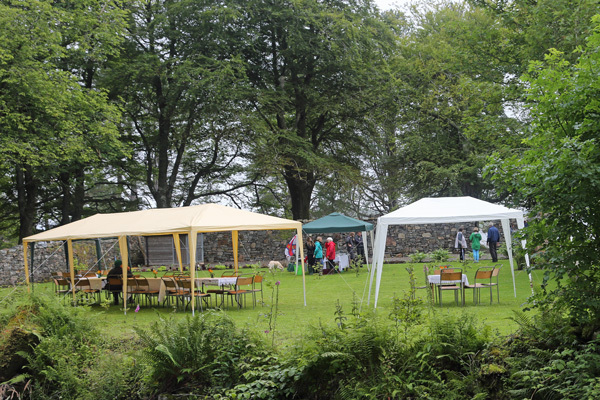 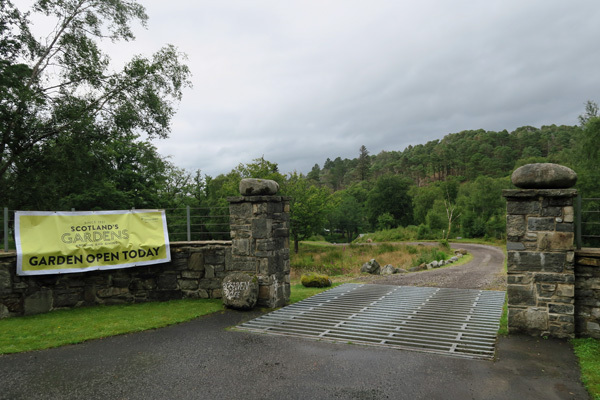 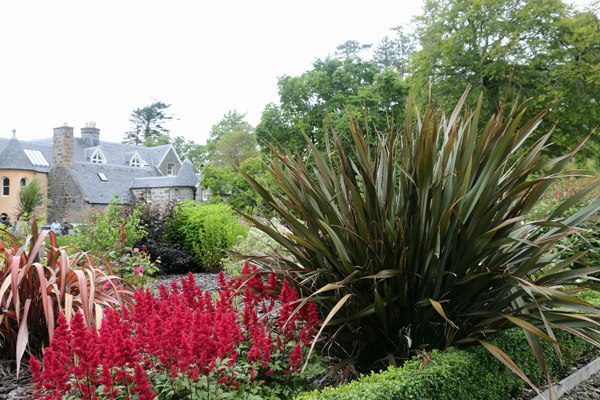 The gardens are open to the public for one day a year through Scotland's Gardens open garden scheme, raising money for a range of local and national charities. 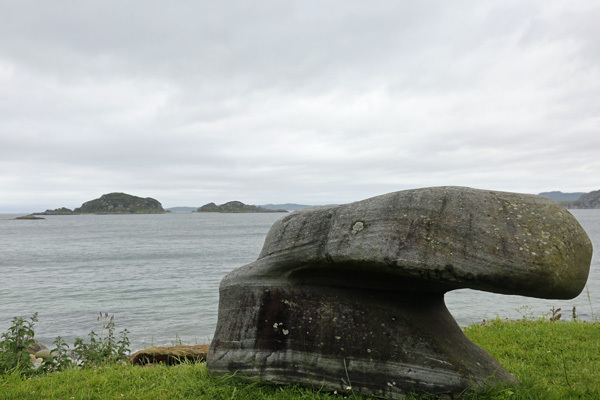 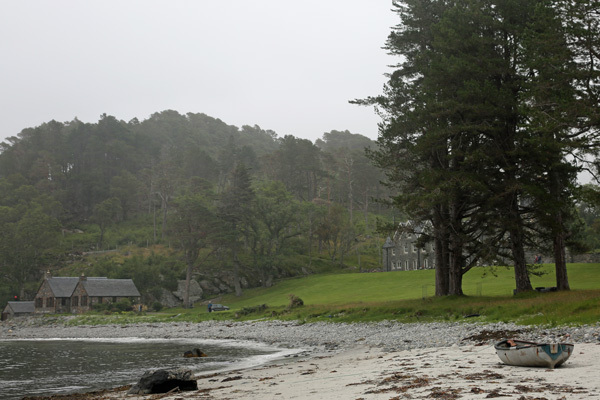 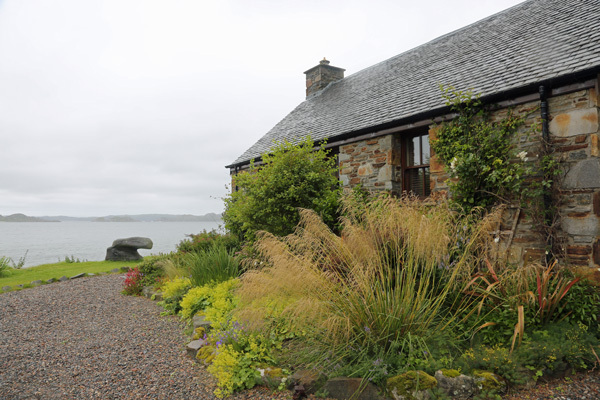 The House has a splendid setting on the shore of Loch Ailort. 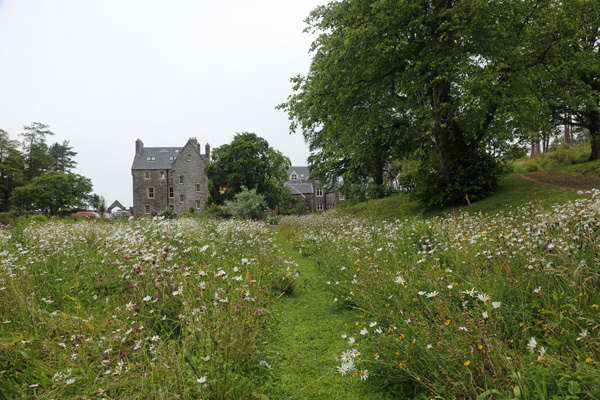 A formal lawn infront of the house leads down to the sandy beach fringed with a wild flowers. 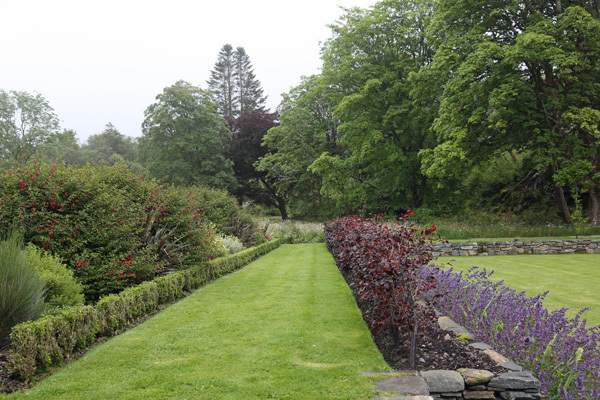 The formal garden is the most recent creation, joining mature trees, box edged shrubbery, azaleas, rhododendrons, and other exotic species extending the flowering season from summer into autumn colour. 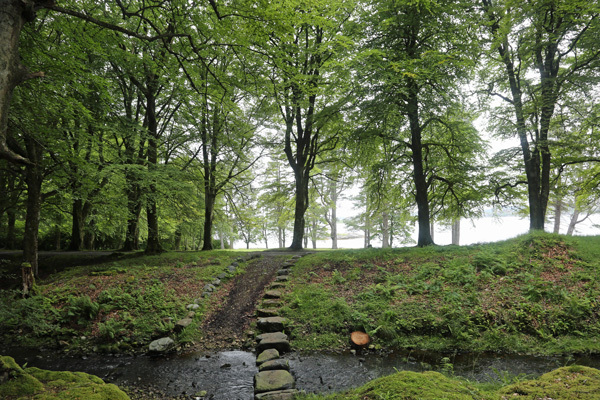 Woodland walks are currently under construction allowing the visitor to explore the wild side of this historic garden. 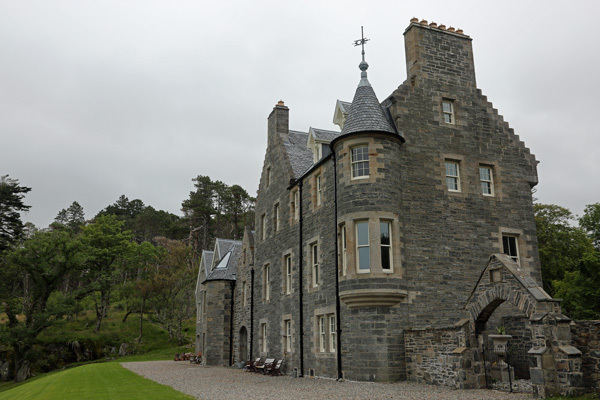 The main house dates back to the 1850s, the construction being commissioned by Hugh and Jemima Blackburn, being eventually completed in 1896. 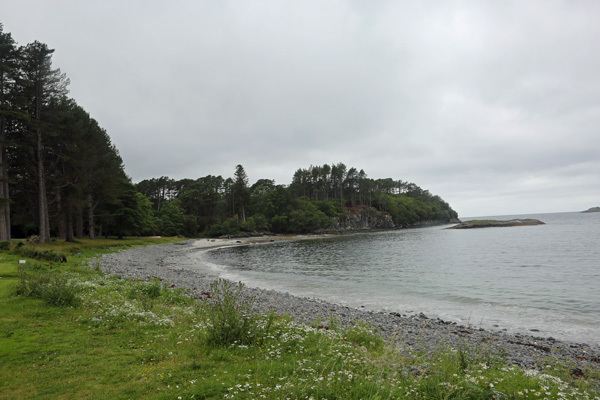 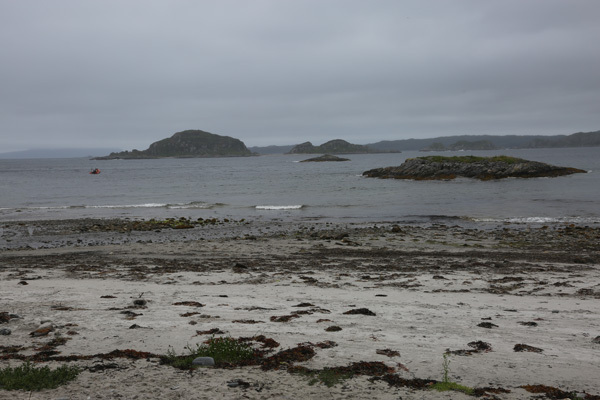 This was before the A861 had been extended from Kinlochmoidart, so all materials had to be brought in by sea. 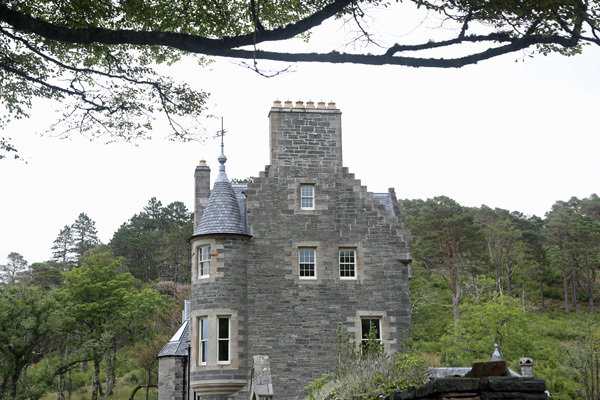 The house fell into a state of disrepair after the second world war and had to be largely rebuilt. 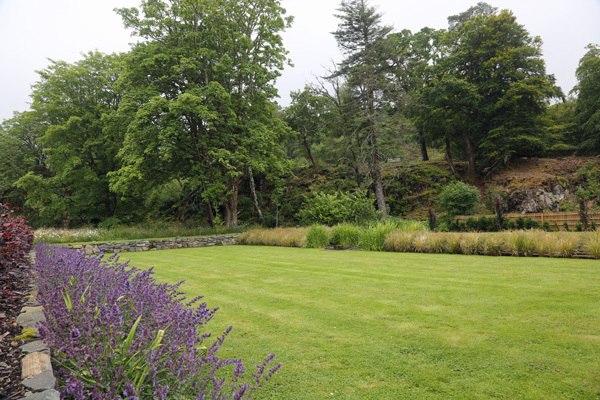 The rebuild was completed in 2010, including the extensive remodelling of the gardens. 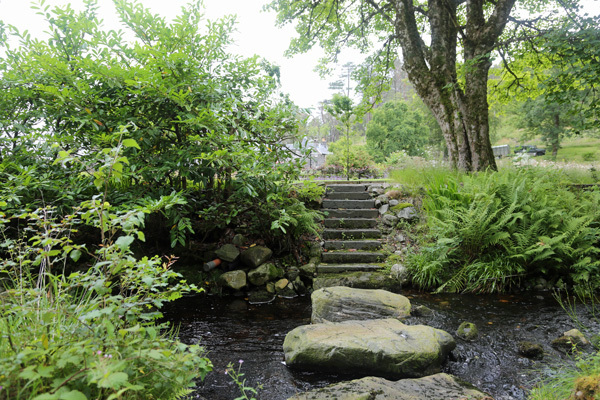 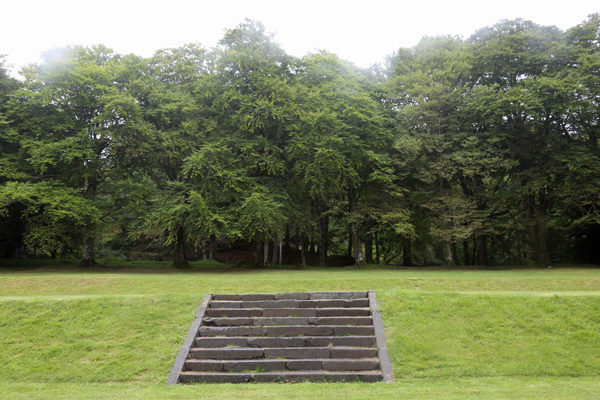 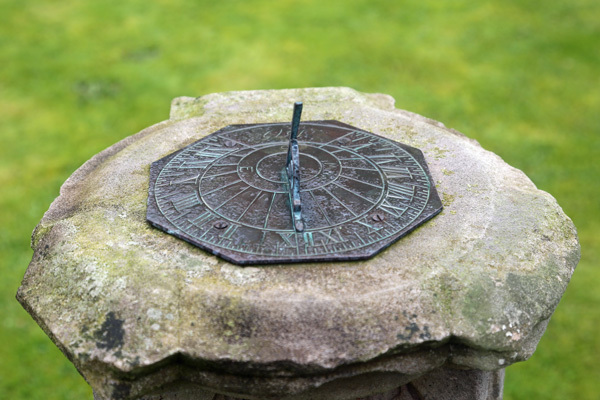 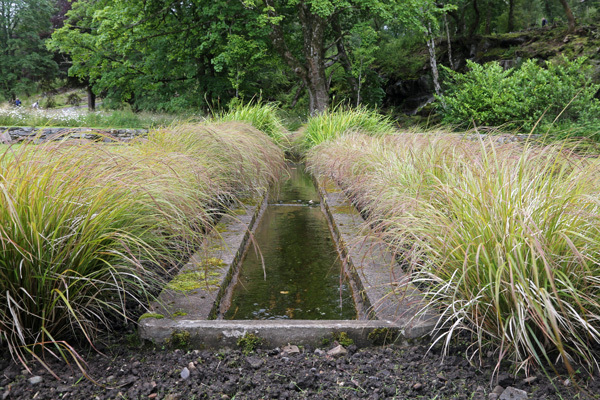 We hope there will be opportunities to visit year on year as part of Scotland's Gardens scheme to see how these wonderful gardens develop over time.